Packaging your valued product can help another dimension to your promotional merchandise and improve how people recognise and remember your brands. 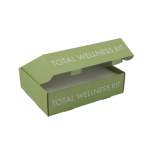 Magellan World is pleased to provide the widest range of custom and bespoke promotional packaging options as well as off the shelf branded packaging styles for all requirements. Magellan World offer a huge range of styles of Promotional Packaging, from simple bottom and top shoe box styles to elaborate multi-panelled outer jackets with hidden magnets for closures or picture frame raised platforms with integrated ribbons for the easy removal of items. Personalisation and our many different box styles can transform presentation box into a first class piece that will create a great first impression when received by your client. 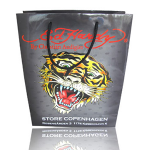 Promotional Packaging from Magellan World will maximise your sale opportunities to customers and prospects. Promotional Video Packaging improves your targeting with relevant information, content, promotions and personalisation with tailored print and even bespoke Videos. Marketing using Magellan’s Video Brochures can help deliver insight into how people recognise and remember your brands and using our Physical-Digital Packaging is a more effective method of communication as it is multi-sensory. Get a strong competitive edge to stand out from rivals and improve your Product Presentation to get that perfect first impression from your client or executive, contact us today! 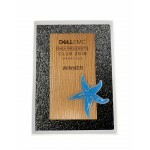 Presentation Rigid Board Box For Dell.. 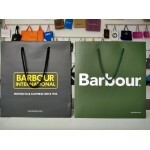 Printed Laminate bag Style: Luxury Printed Gloss Printed Laminate Paper Bags With Rope Handles .. 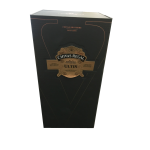 Custom drinks packaging for Chivers Regal Ultis.. Printed Packaging for Imagination is manufactured using Litho Lamination and contains a custom card ..
Project: Matte Laminated Rope Handle BagClient: AmcorStyle: Rope Handle, Matte Laminated Bag &n..
Project: Promotional Rope Handle BagClient: BarbourStyle: Rope Handle, Gloss Laminated Paper BagFini.. 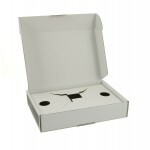 Promotional CD Packaging for Actinic includes support for a CD case with a pre-loaded CD inside a cu.. 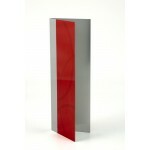 Promotional CD Packaging for BMW has a metal exterior with an engraved front panel. Inside the promo.. Promotional CD Packaging for Durham County Council is manufactured from metal and contains a cut out.. 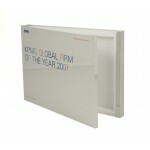 Promotional CD Packaging for KPMG contains a custom foam insert which protects a promotional CD and .. Promotional Cosmetic Packaging for Estée Lauder has two pull out sleeves, one contains a Re-Nutriv c.. 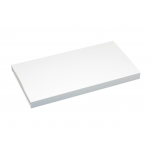 Promotional Folding Board Box for PC Plotter .. Promotional Membership Box for RDesign is a contemporary membership box, with a folded Box Board des..
Packaging Description: Memorial packPackaging Material(s): Rigid BoardOuter Box Description: Hinged ..
Project: Printed Gloss Laminated Bag with Rope HandlesClient: MercedesStyle: Laminated Paper Bag, Ro.. Promotional Metal CD Packaging for TCI contains a foam insert which secures a CD and an information .. 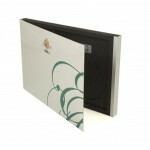 Promotional Metal Menu has an elastic string down the middle which secures the paper inside the menu.. 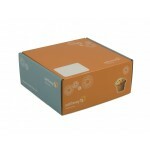 Promotional Packaging Box for Enigin E-Centive is produced using Litho Lamination.Promotional Packag.. Promotional Packaging Celebrating the First Chinese F1 Grand Prix, custom made as a box and lid styl.. Promotional Packaging for Abahna is a sleeve design with a handy ribbon which aids in pulling it out.. 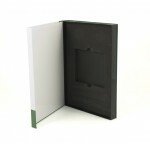 Promotional Packaging for ARM is produced from Litho Lam and card.Printed Packaging contains promoti.. 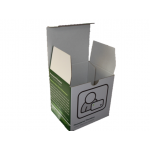 Promotional Packaging for Belbin has a magnetic strip down the side to lock in the contents and a cu.. Promotional Packaging for BWell consits of a Litho Lamination high quality print finish on top of a .. Promotional Packaging for Duende, the promotional box is printed using Litho Lamination, the cards w.. 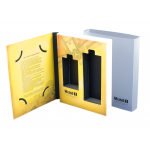 Promotional Packaging for Mobil is manufactured from folding box board and has a high quality print .. 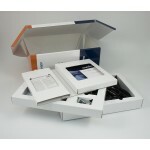 Promotional Packaging for Nobel Bio includes a custom card insert to support a pre-loaded CD, tools .. Promotional Packaging for Pathway Resourcing was a piece of promotional packaging manufactured to ho.. Promotional Packaging for Phoneserve is manufactured from Litho Lamination.. Promotional Packaging for Safety Syringes was a full colour print Promotional Package that contained..